A research team led by National University Health System (NUHS) and Duke-NUS Medical School has used genomic technologies to better understand intestinal metaplasia (IM), a known risk factor for gastric (stomach) cancer. Patients with IM are six times more likely to develop stomach cancer than those without. This study is an important part of an ambitious investigation to understand why some people develop stomach cancer, while others do not. The research, which was published in one of the top cancer research journals, Cancer Cell, could also help detect patients who are infected with the Helicobacter pylori bacteria, which is also linked to the disease. 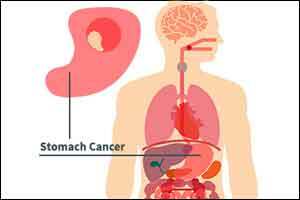 Stomach cancer is the third deadliest cancer in the world according to World Health Organization (WHO) statistics and claims more than 300 lives yearly in Singapore. The disease is believed to be caused by infection with Helicobacter pylori but is potentially treatable if detected early. Unfortunately, more than two-thirds of stomach cancer patients are only diagnosed at an advanced stage. The researchers leveraged the near 3,000 participants-strong Gastric Cancer Epidemiology Programme (GCEP) cohort, recruited with the support of patients and doctors from four local public hospitals (National University Hospital, Tan Tock Seng Hospital, Singapore General Hospital, Changi General Hospital), to show that a comprehensive analysis of the genetic patterns of IM can predict its subsequent progression towards stomach cancer. The genetic analysis of IM helps to identify those with a higher risk of progression to stomach cancer, adding further information to what is available by microscopic examination alone. The research team is using this new information to identify biomarkers that can be applied in future in the clinic to identify people who have a high risk of progression to stomach cancer. The research was primarily supported by the National Research Foundation Singapore under its Translational and Clinical Research (TCR) Flagship Programme (TCR/009-NUHS/2013) which was administered by the Singapore Ministry of Health’s National Medical Research Council (NMRC), as well as by NMRC’s Singapore Translational Research (STaR) Investigator Award (NMRC/STaR/0026/2015). The GCEP project is the cardinal study of the Singapore Gastric Cancer Consortium (SGCC), which is a translational research group comprising clinicians and scientists from NUHS, Duke-NUS Medical School and other academic medical centres, universities, hospitals and research institutes working in stomach cancer research. The study aims to find more effective ways to treat stomach cancer and produce better patient outcomes, including targeted screening and early detection of the disease. Since its inception in 2007, SGCC has published more than 220 papers and filed 47 invention disclosures and patent applications, and has attracted more than S$23million in funding from 17 industry partners.